This Diploma is a unique amalgamation of the Diploma in Resilience Coaching and the Diploma in Wellness Coaching Skills. By taking these two popular courses together, you save on study time and money. I have gained new skills and a new career. I feel the course has opened my eyes and allowed me to learn more about a subject that I am passionate about: namely how people tick and how to help them. S.M. This course is suitable for wellness professionals, wellbeing coaches, complementary therapists, fitness personnel, pregnancy professionals, nutritionists and nurses. It is also suitable for anyone without a healthcare background who wants to go into health, wellbeing and resilience coaching. You could use this learning with a PAYE job or enhance your skills for a new position. You might start-up your own business or improve an existing business. Giving this world of portfolio working, you could have a part-time position as an employee and be self-employed at the same time. You could use what you learn on this course to: integrate into counselling, weave into a complementary therapy practice, enhance nursing skills, work with baby-boomers, move into corporate wellbeing, improve a long-term-condition management service, develop wellness programmes for health and wellbeing charities, specialise in wellness programmes e.g. pregnancy or positive aging, offer wellness coaching to NHS services, enhance fitness e.g personal training or weight management, work with parents/families, offer services to health clubs and spas, work with community organisations to improve the health and wellbeing of the community, develop a coaching service for young people or to enhance performance coaching. The Diploma is taken over two years through blended learning which is a mixture of supported distance learning and supervised skills development. – Accreditation from the National Council of Psychotherapists (NCP). – CPD recognition from the Complementary Medical Association (CMA) and the NCP. – Approved by the UK Health Coaches Association (UKHCA). 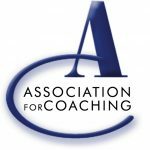 – There is the opportunity to apply for full membership of the Association for Coaching (AC), NCP and CMA upon qualification depending on criteria fulfilment. Community: Access to Wellness Professionals at Work Learning Hub on Facebook. You can also work with a study-buddy. Materials and resources provided: Course textbooks and learning materials. Tutor support: Quick turnaround for queries and marking (one week) with support by email, phone and online. You are constantly encouraged with quality feedback and challenge. Marketing consultation: Included in the course fee is a 30-minute marketing consultation with Karan Hopper of Kameleon Marketing. Business start-up coaching: Included in the course fee is two hours of business start-up coaching. The course has undergone rigorous scrutiny to ensure it meets the criteria of each accrediting body and is equivalent to a level 4. Wellness Professionals at Work is a recognized and authorized course provider of the Complementary Medical Association (CMA). This course carries CPD points (one point for every hour of study or skills development). Following successful completion of the course, you are eligible for full membership. Wellness Professionals at Work is a training provider member of the NCP as well as being an accredited CPD centre. The Integrated Diploma in Resilience and Wellness Coaching Skills will provide you with a professional qualification and is accredited by the National Council of Psychotherapists (NCP). The NCP is one of the longest established and prestigious societies of its type in the UK and enjoys an international reputation. Student membership is included in your fee when you are accepted onto the Diploma and following successful completion of the course, you are eligible for full NCP membership. 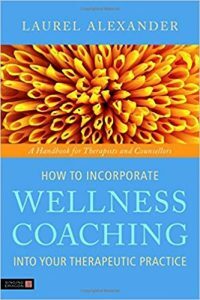 Wellness Professionals at Work is an organizational and training provider member of the Association for Coaching (AC) and is committed to the ethical development of coaching as a profession. The Diploma in Wellness Coaching Skills which is part of this integrated course has been accredited by the AC. Following successful completion of the Diploma and the gaining of coaching hours, you are eligible to apply for membership of the Association which has international recognition. Upon successful completion of the Integrated Diploma in Resilience and Wellness Coaching, graduates can make application to become Associates of the International Stress Management Association (ISMA UK) subject to ISMA UK’s usual terms and conditions of membership. 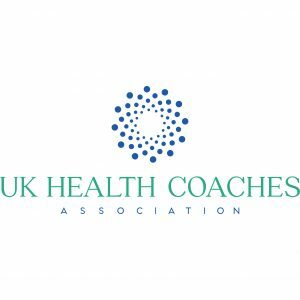 UKHCA is a non-profit organization dedicated to supporting the professional development and advancement of health coaches practicing in the UK. Wellness Professionals at Work is an approved health coach training school with UKHCA. The Integrated Diploma in Resilience and Wellness Coaching Skills has been assessed by UKHCA as a full health coach training course and graduates will be accepted for UKHCA membership, subject to membership criteria being fulfilled. Prior to your skills development, you will need to read the provided textbook (s). The supervised skills development and supported distance learning run concurrently. You need to complete 50 hours of supervised skills development before you take on case studies. The day will run from 9am until 5pm. Each coaching session will be 30 minutes. There will be regular comfort breaks. There will be a minimum of two students (with a shorter day) to a maximum of six students. Each hour you’re attending the online workshop counts towards your supervised skills development time. You can start your online workshops at any time of the year, and they need not be consecutive attendance. 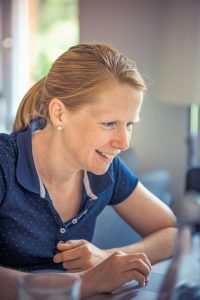 You can go at your own pace for distance learning with the full support of your tutor. 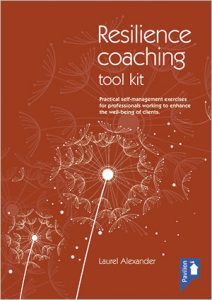 This is designed to give you the underpinning knowledge you need in order to practice resilience and wellness coaching. As well as the pre-course reading, additional books are provided. Based on this reading and your self-directed study, you complete assignments at your own pace. Completed work is passed onto your tutor for marking and comment and returned to you together with the next module. What wellness is – The changing face of healthcare – Integrated healthcare – Conventional and complementary healthcare mindsets – Areas of life which contribute to wellness – Mindbody integration – Health coaching models – Stop Press! You are required to keep a learning journal throughout the course. This records your personal and professional learning experiences related to the Diploma. Following your supervised skills development, you need to complete fifty hours of case studies. You complete all case studies in your own time and location, under remote supervision from your tutor. Potentially, depending on your lifestyle and discipline, this course could be completed in just over a year. Stage 1: Pre-course reading which can be done in one week. Stage 2: For each module, there is reading plus one 1000 word assignment. You could complete one assignment a week or fortnight. For this stage, you are required to attend supervised skills development hours. If you enrolled in the remote option, you could attend one monthly Saturday masterclass in Brighton and one monthly Saturday masterclass online. Stage 2 could be completed in 6-8 months. Stage 3: This is 50 hours of case studies completed in your own time and location. Case studies can run concurrently and could be completed within four months. 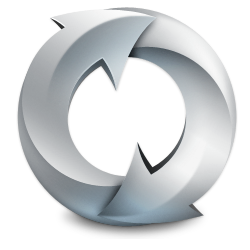 Stage 4: This is the quick formality of CPD reflection and course evaluation. You will be assessed: during your face-to-face skills development, via assignments, case studies and learning journal. We are delighted to offer all Diploma students a free 30 minute marketing consultation with our marketing partner Kameleon Marketing. Kameleon Marketing offer affordable, flexible marketing services and consultancy for small businesses, sole traders and start-ups. For more information about Kameleon Marketing visit www.kameleon-marketing.com. BRIGHTON – Integrated Diploma in Resilience and Wellness Coaching (master class attendance in Brighton, Sussex) £2,300. Pay in FULL in advance to receive 10% discount – just £2,070. Pay an initial £400 upon enrolment plus nineteen standing order instalments of £100. 2. ONLINE – Integrated Diploma in Resilience and Wellness Coaching (delivered remotely) £2,600. Pay in FULL in advance to receive 10% discount – just £2,340. Pay an initial £510 upon enrolment plus nineteen standing order instalments of £110. UK postal charges are included in the above costs. International postage will incur additional costs. Please email Laurel on info@laurelalexander.co.uk for additional cost. You can pay by bank transfer or online.